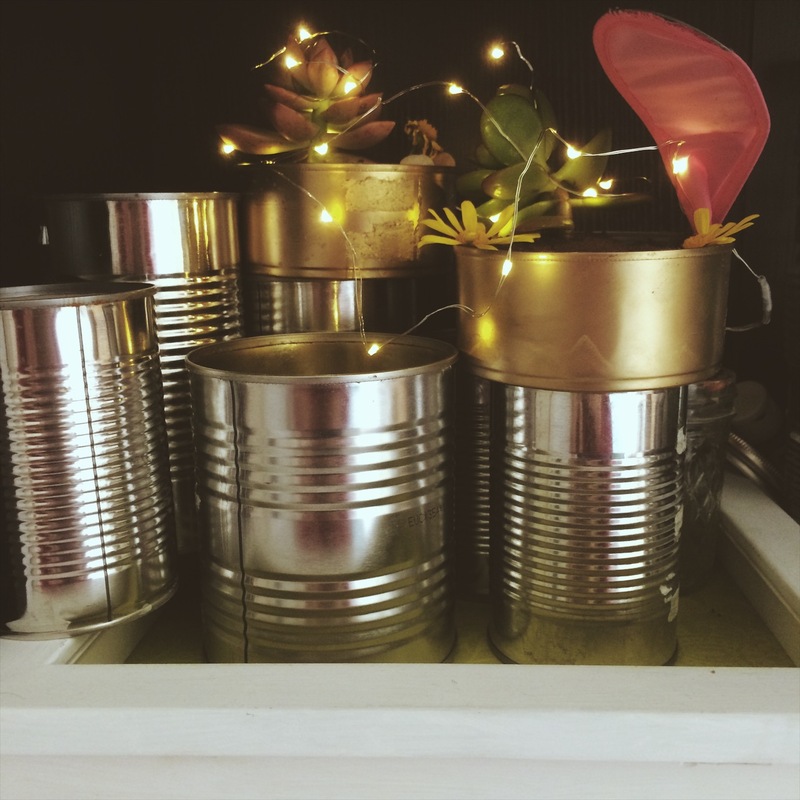 I like to recycle, especially because I cook a lot so I feel guilty throwing tin cans away and always try to think of crafty ideas for my kids to do. These little cans gave me the idea for mini gardens. 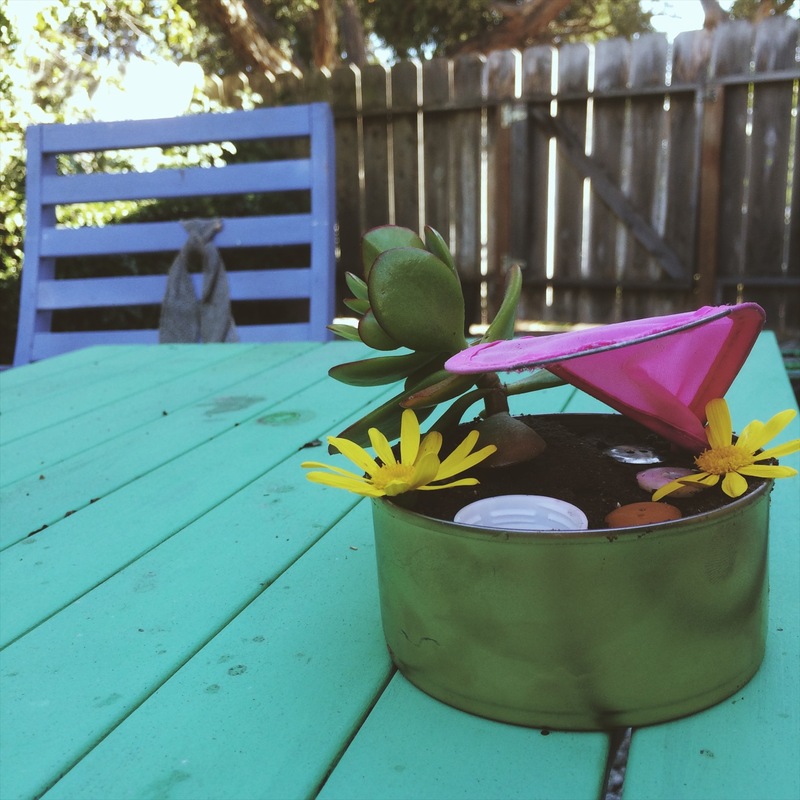 Mini gardens can be created for “fairies” or tiny toy animals or even used to create a pretty mini garden of succulents. 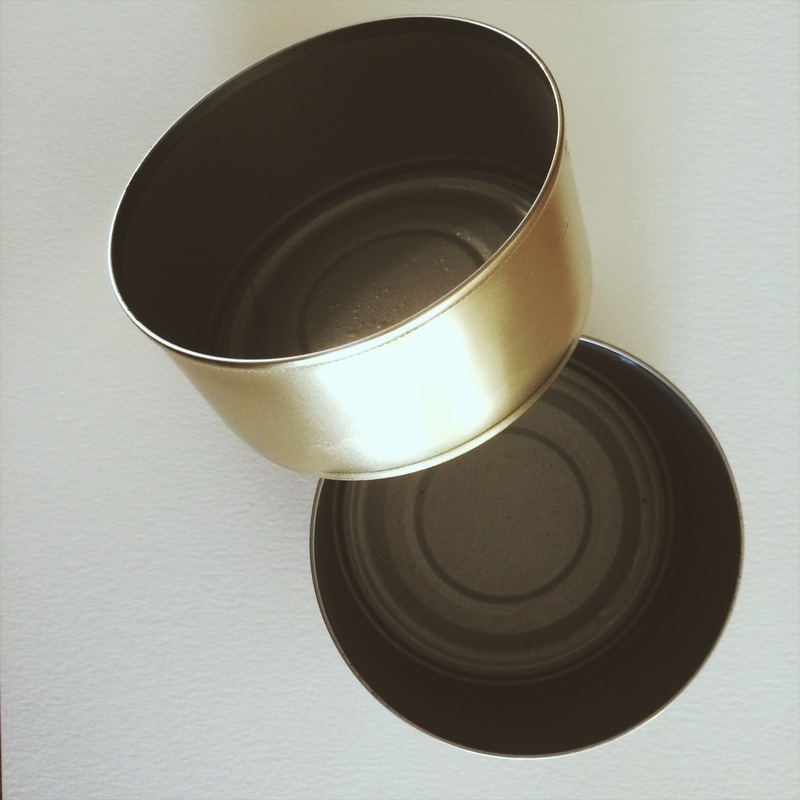 I washed out these cans (chicken or tuna cans are a similar size) then dried them and spray painted them gold. 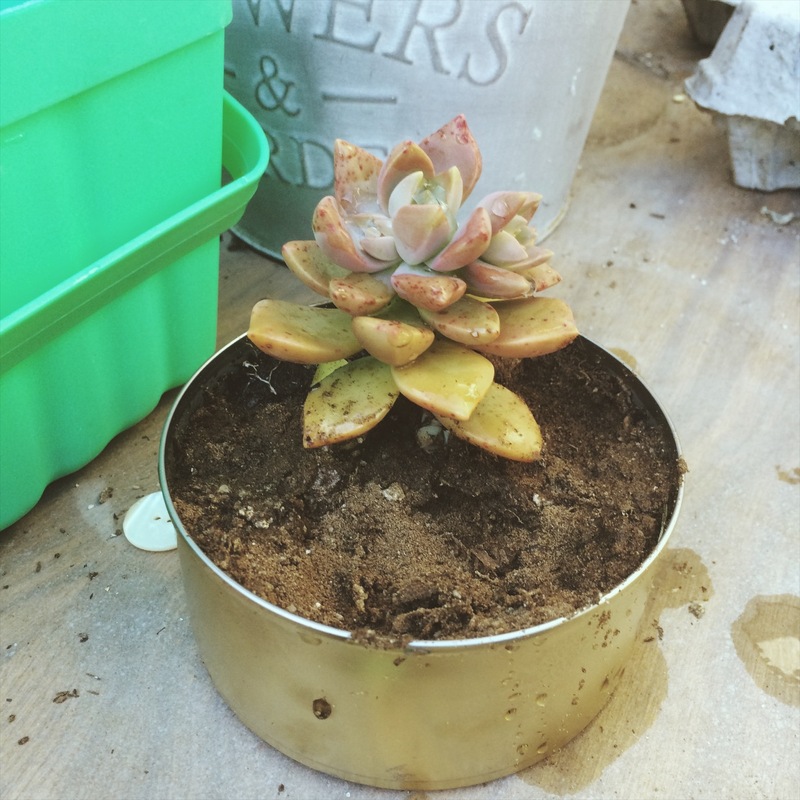 Next, I helped my daughters transplant some succulents I had in a different pot. I let the girls add rocks, buttons, bottle caps, and a blade from a pinwheel that wasn’t working anymore. 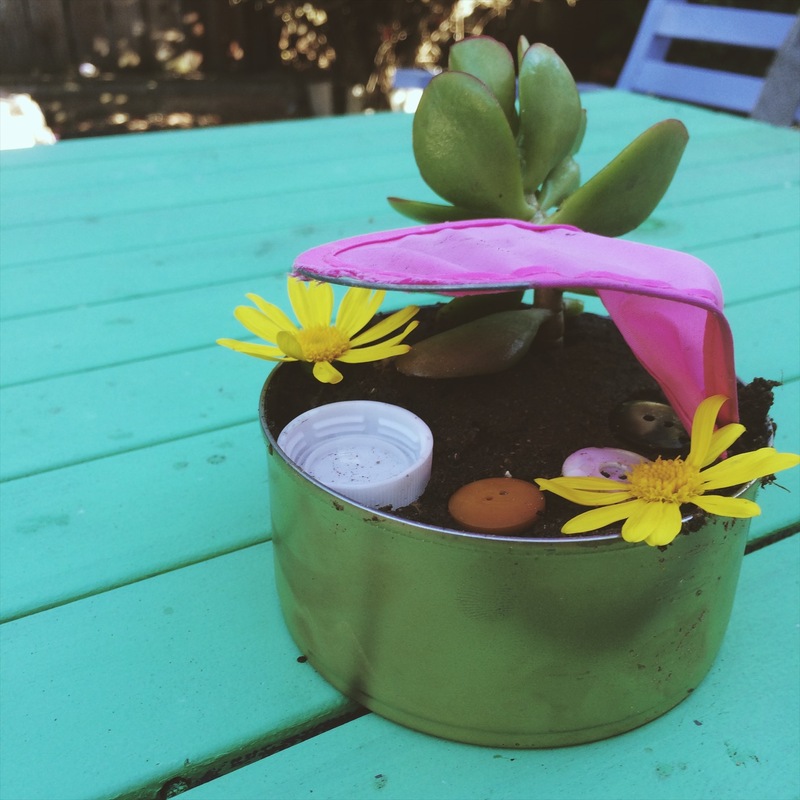 All of these odds and ends helped bring together a mini garden perfect for imaginative play. 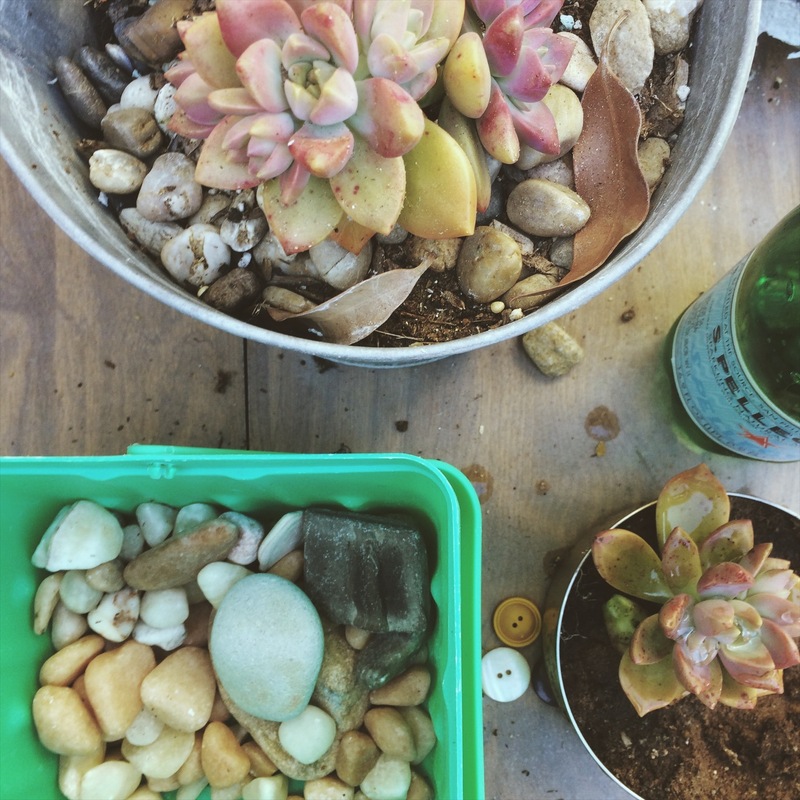 Here are some photos of how we put our recycled mini gardens together. I also have to recommend these lights! This is the second time I’ve used them for a project and they have worked so well! You can get them on amazon in a 6 pack pretty cheap. 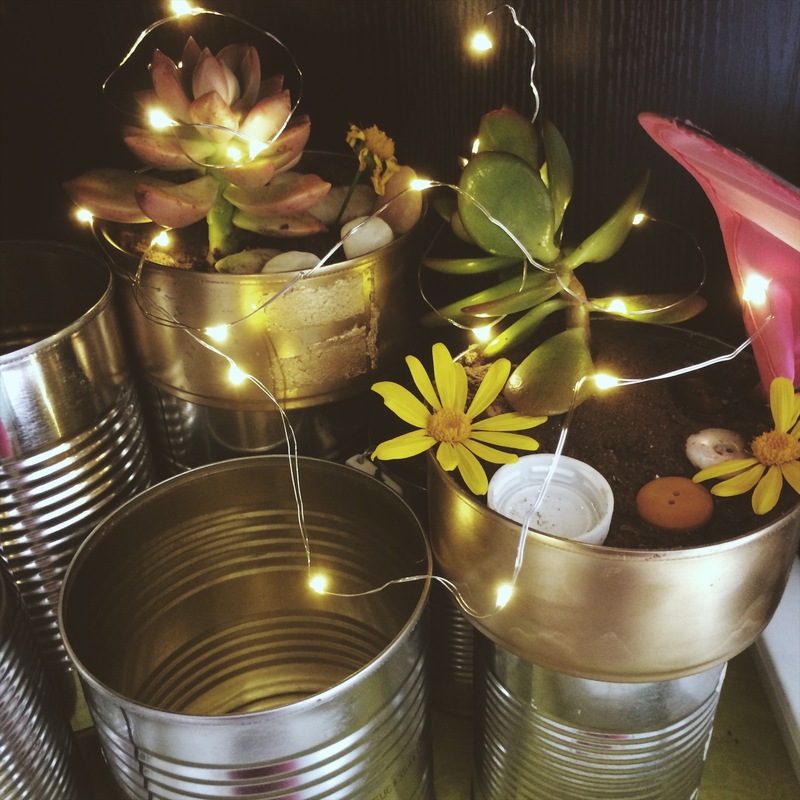 The lights really add the extra element to the imaginative play mini gardens. 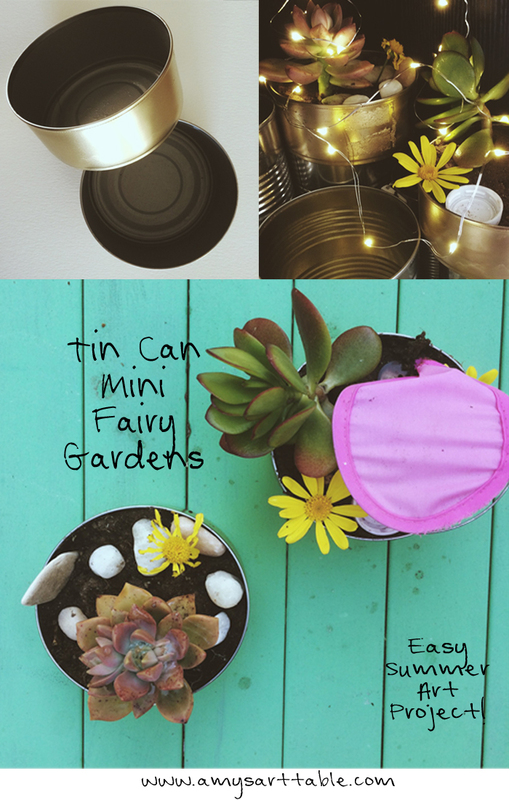 I have a few more tin can ideas on the blog here and here. Can you tell I really like to recycle? I’m thinking this whole shelf of cans, turned into different mini gardens would be so amazing! 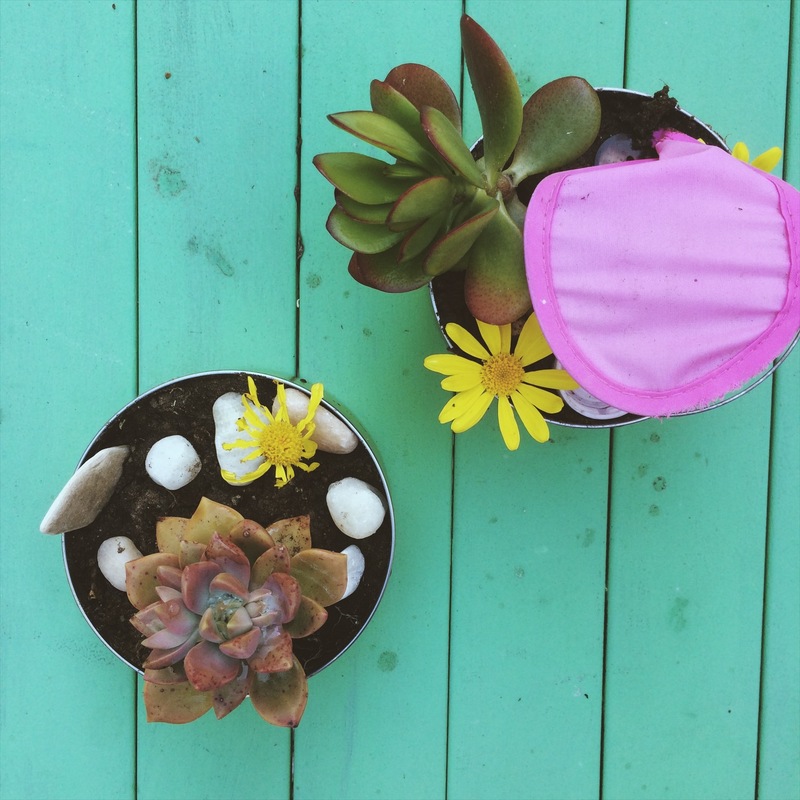 Don’t forget to come back this Summer for more family DIY like this project and Art lessons! And check out my youtube videos!